But how about making a real night of it? When you have snacked on your sausage in bread and eaten your fair share of smores, it’s time to get moving and play a few games. Perfect for the young and old, games around a bonfire is not something that is done regularly so why not make the most of being outside and have some fun with it. What constellations do you know? Can you spot them? Can you find a shooting star? There are some amazing apps that can help you spot the stars, so download it and get to it. Being out of the city really opens your eyes to the brightness of the night sky. I am always amazed when I am in the countryside, to look up and see the glittering stars above me. It's a beautiful site. By simply supplying your guests with a flashlight each, a game of tag never felt so fun. You don’t have to go too far in the dark, and you can even split up into pairs if you are a little scared of running about in the starlit night. This game works just like normal tag does, except that you are in the dark and only have a flashlight to help you find a friend to tag! Creating your own, or attempting to create your own hands or body puppets in the light of a bonfire is a hilarious game that always leaves me stumped! Making shapes with your shadows is a lot harder than it sounds, believe me. Try it! A simple game, but a fun, interactive one. Especially great if you have kids with you. All you need to do is go through the alphabet and pick a subject such as countries. Everyone takes a turn and has to name a specific country starting with the particular letter of the alphabet that you are on. The winner can then pick the next topic, so get creative and come up with unique subjects. 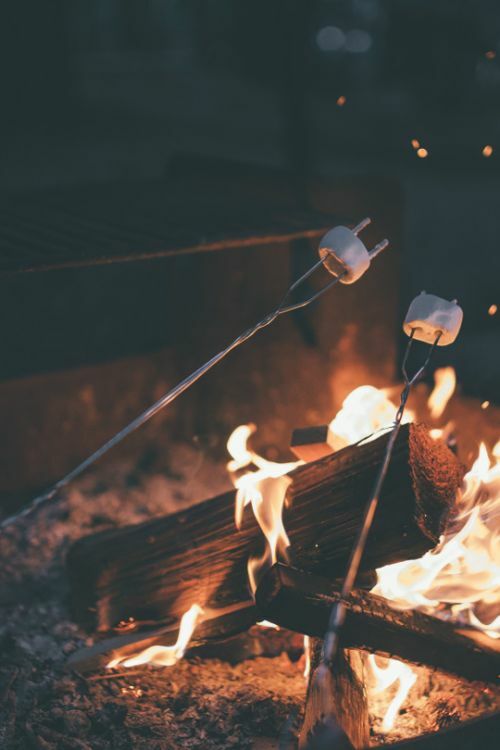 How many times can you roast a crust around a marshmallow on a stick in the fire, pulling the little crust off and roasting it again until there is NO marshmallow left? Apparently, the record is 12 times, you will have to show us if you want us to believe that you can do it more times! Set up a simple scavenger hunt for the kids just as the sun is going down. Give them a torch, a small basket and a list of what to collect and let them start on their adventure. Credits : Game images via pinterest.